Eric Sessler’s distinctive compositions are an accessible and highly engaging blend of classical music infused with elements drawn from popular music. His novel creative methods utilize the guitar as a conduit for creativity-the result being adapted and manipulated to form music from solo to chamber, vocal and orchestral works. He has been commissioned by a wide range of musicians, including the Dover Quartet; the Cincinnati and Philadelphia Chamber Orchestras; flutist Jeffrey Khaner; and guitarists Jason Vieaux and David Starobin. His string quartet Dreams from life awake was performed across the United States to great acclaim by the Dover Quartet. Sessler’s flute music has been featured at several National Flute Association conventions and his numerous works for classical guitar are highlighted by collaborations with grammy winner Jason Vieaux. Among recordings of his music, Sessler’s Organ Concerto was featured on Opus 76-a showcase recording of the Fred J. Cooper Memorial Organ in Verizon Hall (The Kimmel Center, Philadelphia) with renowned organist Alan Morrison as soloist. Dr. Sessler is a member of the faculties of the Curtis Institute of Music and The Juilliard School. A 1993 Curtis Institute graduate in composition, Sessler later received his doctorate from The Juilliard School. His major teachers were Samuel Adler, David Diamond, and Ned Rorem with additional classical guitar study with Nicholas Goluses. With Jason Vieaux at the premiere of Rhapsody & Afterglow. Eric Sessler was born in Dover, New Jersey in 1969 and grew up outside of Philadelphia. His parents left their native Hungary during the 1956 Hungarian Revolution and settled in the Unites States where they changed their family name from Szekeres to Sessler. During his formative years, Sessler attended the Performing Arts High School in Philadelphia where he experimented with all forms of guitar music-playing rock, jazz and classical styles. In college, Sessler studied composition with Samuel Adler, David Diamond and Ned Rorem at Curtis & Juilliard plus classical guitar studies with Nicholas Goluses. A trained classical guitarist, Sessler has written numerous works for six-strings highlighted by his collaborations with Grammy winner Jason Vieaux. In 1998, Sessler wrote Sonata No. 1 which garnered national exposure during Vieaux’s performances across the United States. Recently, Sessler and Vieaux teamed up again for Rhapsody & Afterglow-a composition that basks in the beauty of the DADGAD alternate guitar tuning. Other guitar compositions include the popular Sonata for Harp & Guitar (recorded by the German harp/guitar duo of Mirjam Schröder and Maximilian Mangold) and Shift and Riff (a guitar quartet written for David Starobin and the guitar studio of the Curtis Institute). 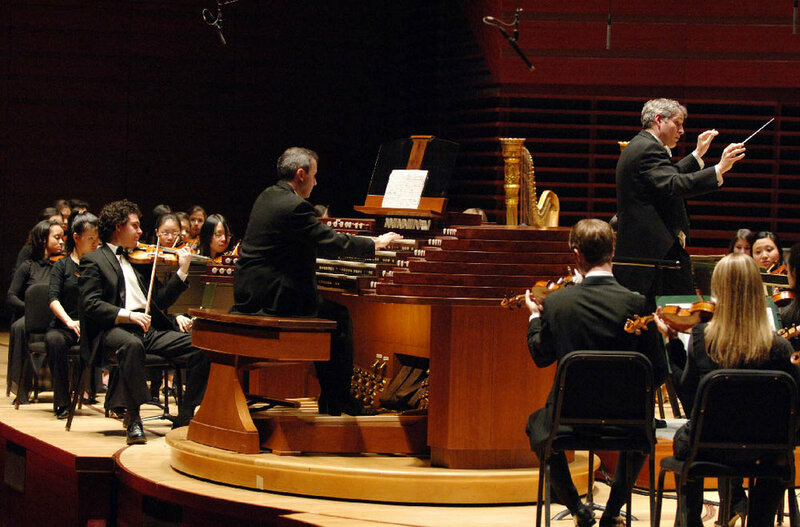 In 2007, Organist Alan Morrison premiered Sessler’s Organ Concerto with the Curtis Symphony Orchestra in Verizon Hall (Kimmel Center, Philadelphia). The Philadelphia Inquirer wrote, “At Curtis he studied with Ned Rorem. But it was another Curtis personality whose influence was more strongly felt in the second movement, when the string writing approached the Francophile beauty of Samuel Barber.” Sessler’s Organ Concerto was broadcast on the well-known radio program Pipedreams and was featured on a showcase recording of the Fred J. Cooper Memorial Organ in Verizon Hall at The Kimmel Center, Philadelphia. This CD Opus 76 includes Alan Morrison as soloist with The Chamber Orchestra of Philadelphia conducted by Mischa Santora. Flute Concerto was commissioned by the Cincinnati Chamber Orchestra and written for Jeffrey Khaner (principal flutist of the Philadelphia Orchestra). In their review of the premiere performance Arts in Focus wrote, “…the work was immediately appealing. It had a distinctly mid-century American feel, in the vein of Aaron Copland and Roy Harris, with a few moments of minimalism. It seems destined to find a home among the established repertoire for the flute.” Sessler’s flute music has been featured at several National Flute Association (NFA) conventions, including by NFA lifetime achievement recipient Bonita Boyd. Dr. Sessler is a member of the faculties of the Curtis Institute of Music and the Juilliard School Pre-College division. A committed educator and advocate for the importance of music education, he often works with youth orchestras and concert bands in residencies and music festivals. Recently, Sessler wrote Loughran’s Lark for the Youth Orchestra of Bucks County (PA). This gala work, performed by over three hundred musicians, combined symphonic and concert band instruments along with simplified parts for youngsters to participate in the celebration. Maestro Robert Loughran preparing Loughran’s Lark at the dress rehearsal for the Youth Orchestra of Bucks County’s 25th anniversary gala.